Sharing intense moments with your best friend, going through tough situations as well as the most beautiful and funny times of your life – That’s what makes a friendship unique and powerful! They say you get to know people when you go with them on vacation, this time Julia and I were not really on vacation but we went on a trip. On a damsko trip during Kingsday in Amsterdam. We supported our dear friends from DAILYPAPER who opened up their first store with a huge gallery exhibition space in the back. Don’t miss visiting the space while you’re on the hunt for the nice pieces we are wearing in this editorial. 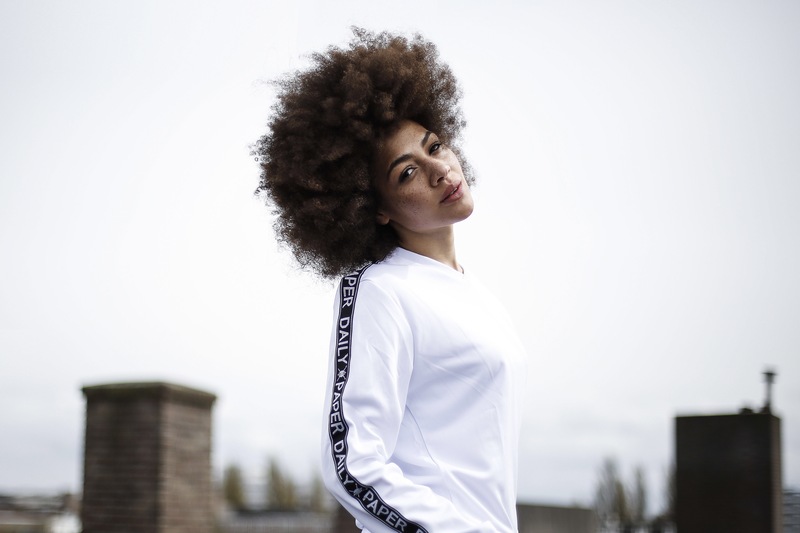 Big thank you to our beautiful Amsterdam based gurl JULIANE FALK who takes the dopest pictures. We realized how blessed we actually are being able to work with so many great people who become friends with whom we get to work, experience life and reach milestones. With each project, trip or event we grow, we unite and create something that has its own power, its own vibe. That’s exactly what we are about: Being muses to each other, empowering one another and not being afraid of being honest, each and everyday. Enjoy our latest outcome below. 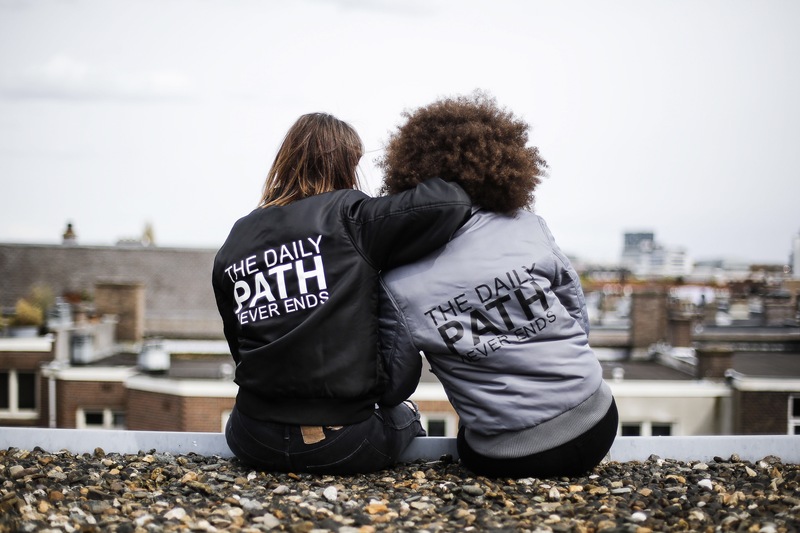 Daily Paper is an Amsterdam based clothing brand, founded by Abderrahmane Trabsini, Hussein Suleiman and Jefferson Osei. The collective started off as a fashion and lifestyle blog in 2008. Due to their highly developed fashion sense, interest in design and a fast-growing network the label arised almost as an inevitable result. Daily Paper is leaving comfort zones with their reinterpretation of African traditional designs. The fashion outcome is new, fresh and authentically represents their heritage. 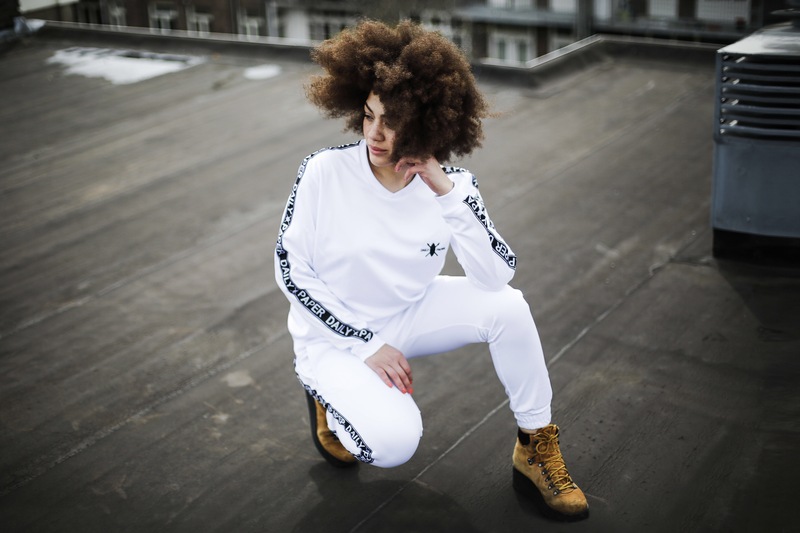 Leaving today’s streetwear comfort zones with their reinterpretation of african prints Daily Paper makes sportswear and streetwear more fashion forward, and continues to stay on point since their first collection. They’ve now just released an urban fresh delight: The second drop of the Spring/Summer collection 2015. This stuff definitely adds some steez to your wardrobe! Shot in Morocco, the city of Chefchaouen and the descendants of the pre-Arab inhabitants served as source of inspiration for their collection. The collection is chock-full of style and youth but still has an urban vibe. 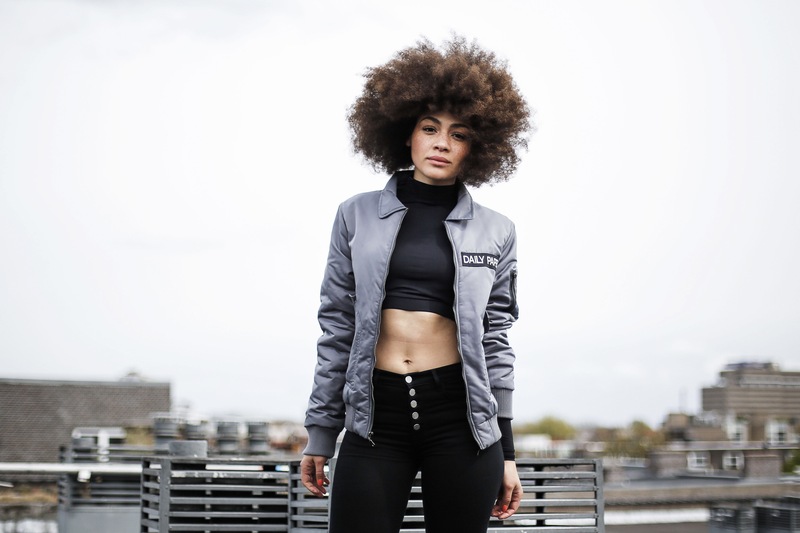 Balancing European and African style elements the pieces include quilted bomber jackets, denim coats and all-over print T-shirts and shorts. The designs have a real city suitability while remaining sporty. The combination of western silhouettes and African inspired prints and colors has proven to be a winning team once again. On top of their styles, Daily Paper inspire a role model with their positive mindset and conscious vibe. The founders radiate openness, and share the same values when it comes to making this world a better place. The latest collection from Daily Paper is now available online and in stores. Check our favorite impressions from the lookbook below, and read on below for an interview with the makers. WT: Hey Guys! How are you doing? How are things going? Any news so far? Daily Paper: Hey ladies! All is well. 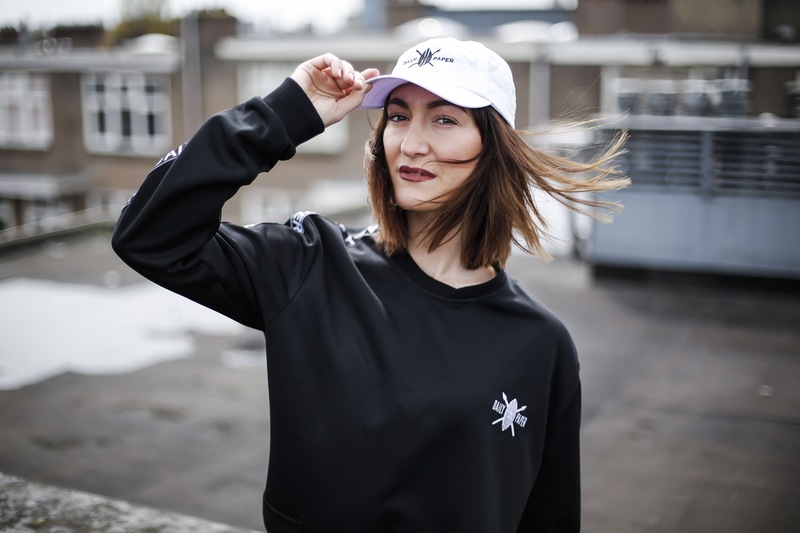 Things are going well for us we just finished our trade show season, launched our first chapter of our S/S ’15 range, and opened a pop-up store in our hometown Amsterdam. And the second chapter of our S/S ’15 range has been released this month. WT: Can we have a short introduction into the Daily Paper Team? Who founded it and how did it come to life? Daily Paper: Daily Paper started as a blog in 2008 owned by Asheru Alhaag, Hussein Suleiman & Jefferson Osei. At that time we were blogging about our personal lifestyle, organizing events and parties in Amsterdam as a crew. We were always together with our close friends – brothers as we say – Olaf Hussein, Emad Alishech, Guillaume Chin and later on Abderrahmane Trabsini. We always considered them as part of Daily Paper since day one. Through blogging we gained a huge network within the Netherlands but also abroad. From there on we wanted to promote the blog more so we started printing logo t-shirts and crewnecks selling it to our family and friend. As a result a huge demand was created and people wanted more from us. So that’s what made us think about Daily Paper as a brand, this was a very exciting prospect. Yet within the crew our brothers got different aspirations and ambitions. Asheru Alhaag launched his online magazine ‘Collect & Curate’, Guillaume Chin created his own shoe label called Filling Pieces, Emad Alishech founded Dp Headwear with Jefferson Osei and Olaf Hussein started his denim label. Even though all other projects started people kept on considering us as the “Daily Paper boys”. We were always seen together and people within our niche industry started to notice this. With all concessions within the crew behind us Abderrahmane Trabsini, Hussein Suleiman and Jefferson Osei founded Daily Paper clothing. We started off very humble with an off-season collection in 2012 consisting of only 5 T-shirts. Nonetheless the range was directly available at high street couture stores like Pigalle, Soto, BKRW and colette. Although our silhouettes were very simple, what made Daily Paper stand out of from all the other labels was our brand aesthetic. “Africa is the future”, “Acta Non Verba”. This aesthetic is still our main source of inspiration. Today Daily Paper is sold in 25 countries in approximately 120 stores. The team now consists of seven people. WT: What is Daily Paper today and what does it stand for? 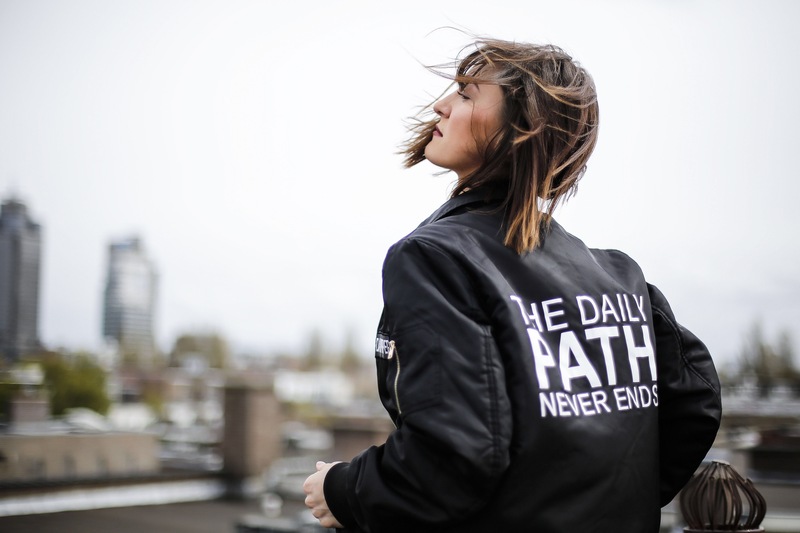 Daily Paper: Daily Paper is an Amsterdam based menswear label. 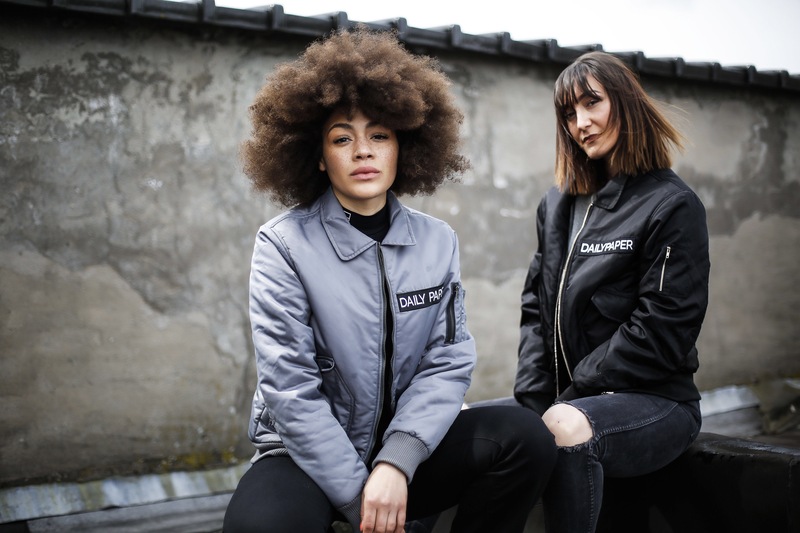 Inspired by the founder’s own African heritage and passion for contemporary fashion an alternative path has been found, turning Daily Paper into a well-respected creator of authentic ready-to-wear garments. The menswear label is known for being affected by different African cultures incorporating these influences into modern design with a unique rugged character. Daily Paper’s focus lies in the design of men’s fashion apparel that considers authenticity, with an emphasis on tailoring and an eclectic use of materials. The products are made to compliment the consumer’s passion for individuality and personal style. Devoted to quality garments, fine detailing, culture and overall great designs, Daily Paper stays true to their unique brand aesthetic. Daily Paper: We are of African heritage, Moroccan, Somali and Ghanaian. WT: Is your origin where you get your daily inspirations from or do you have other influences? Daily Paper: Our heritage is not our daily inspiration; it’s our inspiration when creating. Our daily influences come from a select group of people around us. WT: Why did you shoot your latest lookbook in Morocco? Daily Paper: After travelling to Morocco for a photo-shoot in early 2014, we got inspired by the culture, colors and fabrics of the Moroccan people. Upon our return we got back to the drawing board and created two collections for the S/S ’15 collection. The first chapter is mainly focused on the color palettes used by the Moroccan people and their use of fabrics, while the second chapter shows influences from ancient and modern ‘Berber tribe’ elements. The collection is an ode to North African culture. WT: Whose closet would you like to rifle through? Daily Paper: None. Wearing your own creation is arguably one of the best feelings in the world. Especially when it divines a part of you as person and vision in life. WT: Which 3 persons would you like to meet and why? Is their someone special who gives you a different way of thinking or behaving? Daily Paper: I think we all would like to meet God. In order to get all answers regarding his vision whilst creating the world we live in. Nelson Mandela is also someone we would have loved to meet, just to hear his life stories. And our mothers, they taught us certain life principals. WT: What moves you in life? Is their something you hold on to day by day that gives you a certain strength to overcome tough situations? Daily Paper: Firstly our religion – Muslim, Christian – all of us believe in God. Secondly, our life experiences. WT: What is the philosophy of your life in one sentence? WT: We are absolutely in love with your croptops for girls. Can we expect another Girls Collection soon? Daily Paper: Yes, there will be a second Daily Paper girls collection. We are planning to release it in May/June 2015. WT: Is it going to be expanded? Is there maybe going to be a whole women clothing line? Daily Paper: Similar to the men’s wear garments we started very small with same aesthetic, the collection will be expanded step by step. However, in order to create similar awareness we still need to market our brand within the female niche market. Creating men’s wear is not rocket science, compared to women’s wear. There is a new women’s trend almost every month, and you really need to be ahead of all these trends in order to stand out of the rest. In addition, all females can wear everything and still look good, there is so much offer for ladies. So that’s another issue to work on – creating demand for Daily Paper girls items. WT: Our last question: What is happiness for you? Daily Paper: Making sure the people around you are happy and seeing them smile. WT: Thank you so much for your time and attention! We admire your work, please keep it up!